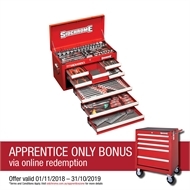 The SCMT10158 204 Piece Tool Kit is perfect for the apprentice or industry professional. Presented with EVA foam inserts for the ultimate in functional tool storage, this tool kit contains the tools you need to do the job in an 8 Drawer Top Chest. 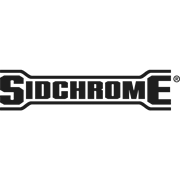 Featuring sockets in 1/4", 3/8” and 1/2" drive with Sidchrome’s TORQUEPLUSTM fastening system and a range of spanners with Sidchrome’s TORQUEPLUS™ & ANTISLIP™ fastening systems, this kit is rounded out with inhex sockets, hex keys, screwdrivers, pliers, an adjustable wrench, 450g antivibe ball pein hammer, tape measure, telescopic magnet and inspection mirror.